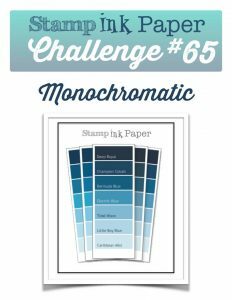 This week at Stamp Ink Paper, we have a monochromatic challenge for you. I always love those and knew right away that I was going to pull out the extraordinary Floral Boutique DSP and the coordinating suite. Wow, am I glad I did!! I love, love, love this print. I know it is just polka dots but they are really awesome polka dots, don’t you think? I cut it out with my Stitched Rectangles dies and started playing with different elements. I had not used a doily in forever and thought it was a nice touch with the pattern. And how could I not used these awesome flowers from the Flourish Thinlits? The delicate design of these really make them beautiful on so many things. To add a sentiment, I thought it best to stamp onto vellum so that it didn’t distract from the pretty flowers. 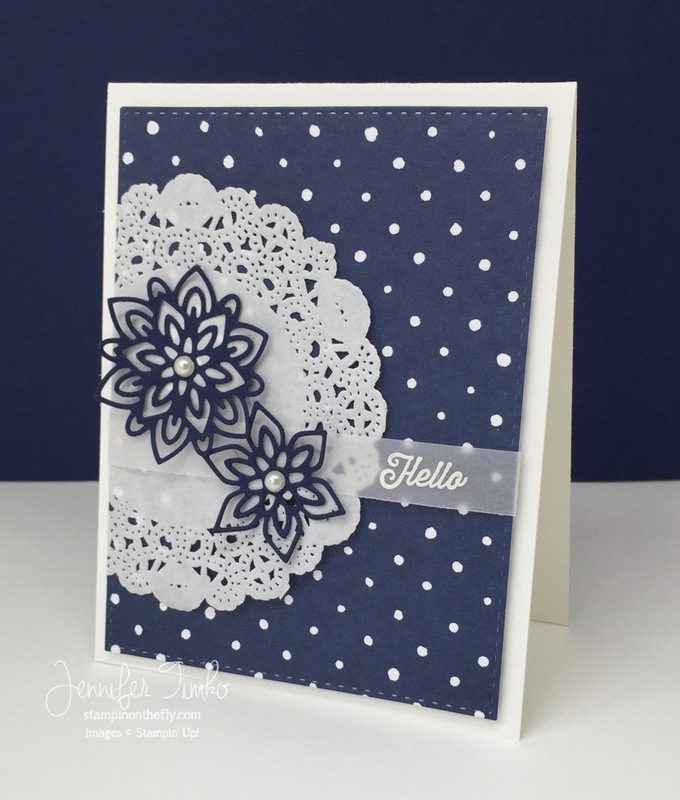 I stamped in Versamark and heat embossed with White Stampin’ Emboss Powder. The flowers looked like they needed a little bling so I added some Basic Pearls for their centers. Wow Jen ! what a beauty ! Your card looks so delicate. You’re right this polka dot DSP is gorgeous ! The doily and the amazing flowers are the perfect match for it !